Antler Ridge has been set to be maintained as a wildlife preserve, and to be used exclusively for hunting. It features a long, narrow ridge that gives a bird's eye view of the surrounding area. Dense poplar bushes and bluffs, and numerous potholes ringed with bullrushes, high grass and willows, afford excellent habitat for a wide variety of wildlife. 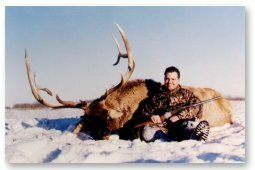 Antler Ridge is surrounded by high fence, so as to limit the range of the animals. Stocking rates are maintained at levels consistent with the habitat's level of sustainability. 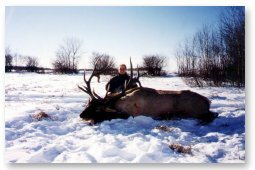 McKen Hunting is committed to setting aside additional tracts of land for wildlife preserves, and intensively managed hunting. 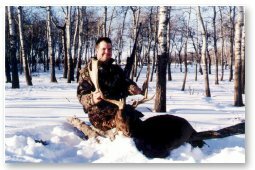 Aspen Meadows is in the planning stage, and will be used by McKen Hunting for harvesting deer.